Our family moved to Madison from the Twin Cities in the fall of 2009. People we like guaranteed us Madison was a nice place with an affordable cost of living and rush hour traffic that wouldn't cut two hours out of your day. So, we found a place to rent on Craigslist, packed up shop, and got the U-Haul returned just before the first snowfall. About that same time, I was beginning to develop an interest in travel writing. This was about the beginning of travel blogs gaining some momentum as an alternative to the traditional print industry (but that's a different story). To make a long and convoluted explanation less boring, I found myself developing two smart-phone apps centered around finding family-friendly venues in Wisconsin: Milwaukee Loves Kids and Madison Loves Kids. Initially available on iTunes, both apps are also now on Google Play. So, as you can imagine, we've spent quite some time crawling around the corners of Dane and Milwaukee Counties looking for stuff to do. And, as it turns out, in the process of becoming an expert on a subject, you find yourself constantly looking for information and asking people for their ideas and opinions. Fast forward four years and countless outings, interviews, and photos, and I think we may have just about exhausted the list. My favorite hike (to date) in Wisconsin, Parfrey's Glen is the perfect ailment for a hot, humid summer day. The hike is 1.5 miles round trip and you follow a babbling brook up through a ravine to a picture-perfect waterfall. You'll have to pay a $7 parking fee and finding a parking spot can become a bit competitive if the weather is nice. Make sure get there by way of the Merrimac Ferry if you have the time. 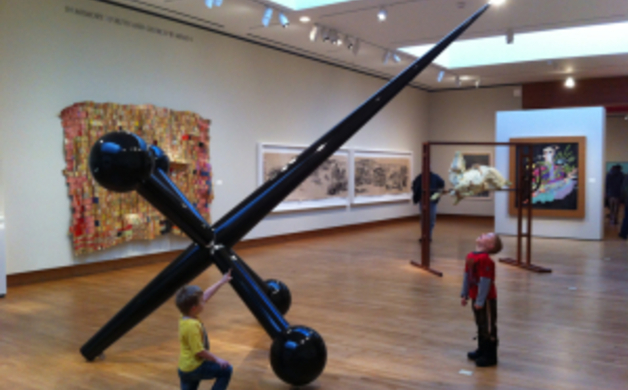 For long, winter days needing an excuse to ponder works of modern art, in Madison you can't beat both the Chazen Museum of Art and the Madison Museum of Contemporary Art. Both are free and open to the general pubic. The MMoCA has Kids ArtPacks available at the reception desk if you need something to keep your little artists entertained. 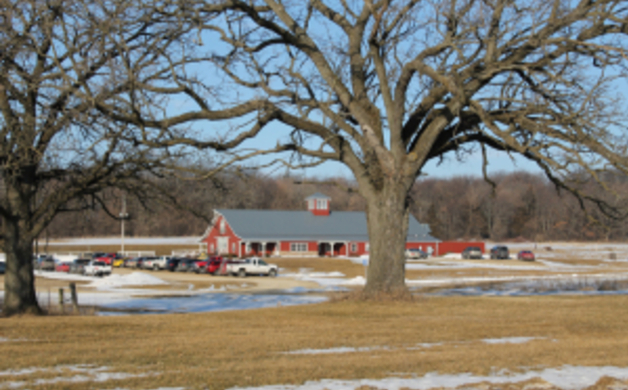 Two of my favorite Sunday drives are to the Toy Train Barn and Folklore Village (both out on the Western edge of town). The Toy Train Barn has more regular hours, while Folklore Village has a lower-level museum and playroom (I'd double check the website/hours before I made the drive). 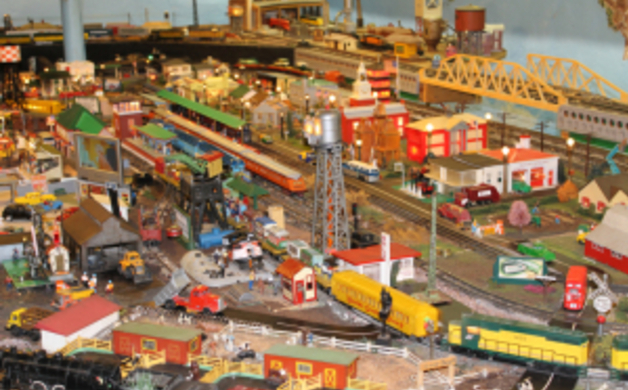 An old dairy barn turned train museum, bring your quarters for the player piano and look for the friendly black lab, Casey Jones. For the outdoor lovers in the group, you can't beat the archery instruction at Poynette Bow Hunters just outside of Poynette. With indoor and outdoor leagues for junior archers, the teaching environment at Poynette is community-based and is extremely family friendly. Poynette offers one of the most reasonably-priced archery instruction I have ever seen and equipment is also available to borrow if you don't have your own. 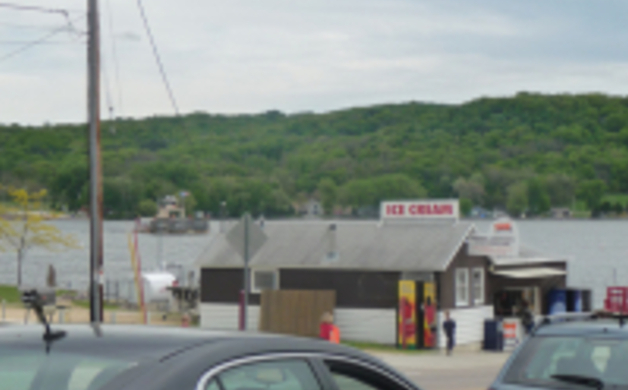 We also love Rossi's Vintage Arcade and Pizzeria in Monona. The pizza is delicious and most of the games are a quarter or fifty cents. 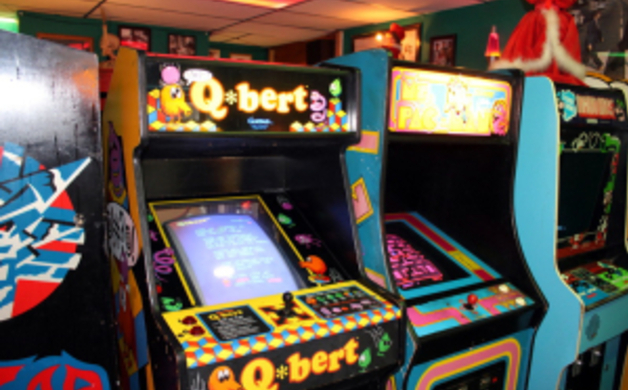 Minecraft doesn't have anything on Q*bert! And, if you want dinner and a movie instead, make the drive down to Stoughton for the Stoughton Cinema Cafe. And last, but not least, is my all time, number one, discovery of them all: Interstate Books4School just off of South Towne Drive on Badger Road. 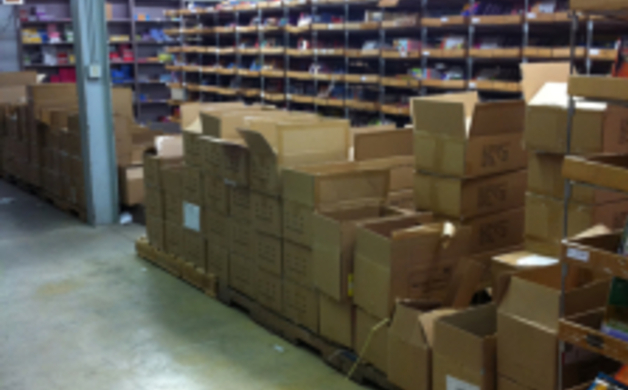 A supplier of books for students in K-12, the warehouse is open to the public during the week. The warehouse "no frills" shopping experience is nothing compared the the cost savings at the cash register. Sorry, Scholastic, we'll never do a book order again.